Tiong Nam Logistics Holdings Bhd initially planned to expand its warehouse capacity to seven million sq ft from the current 5.5 million sq ft by financial year 2020. KUALA LUMPUR: Tiong Nam Logistics Holdings Bhd has scaled back its warehouse expansion plans locally and in Laos. This would enable the company to focus on attaining larger clientele to optimise the existing warehouse capacity, said MIDF Research. Tiong Nam initially planned to expand its warehouse capacity to seven million sq ft from the current 5.5 million sq ft by financial year 2020. However, the management noted that only an additional 0.4 million sq ft of capacity would be added by 2020, bringing the total capacity to about 5.9 million sq ft. The capacity expansion will be carried out at Laos (0.03 million sq ft), Kulim (0.10 million sq ft) and Seelong (0.30 million sq ft). 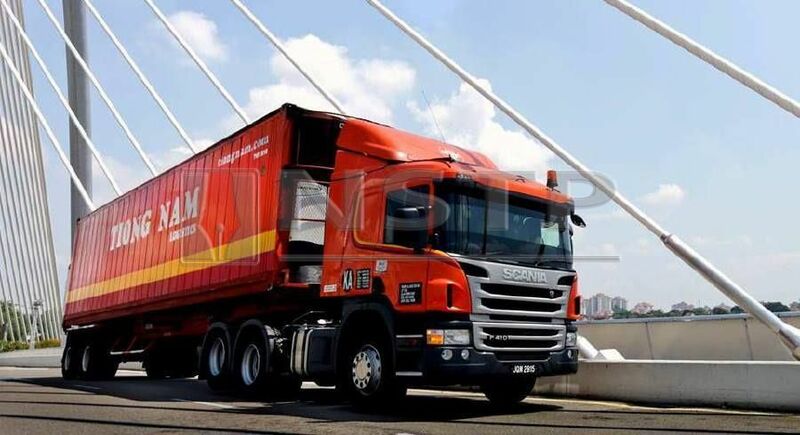 “Moreover, the occupancy rate for Tiong Nam’s warehouses is expected to hit nearly 80 per cent for financial year 2019 due to the addition of new MNC (multinational corporation) customers involved in the FMCG (fast-moving consumer goods) sector,” MIDF said in a report today. Meanwhile, the firm said Tiong Nam’s overseas distribution centres had yet to deliver meaningful earnings contribution as the company was focusing on gaining reputation with certain customers before expanding service offerings to others. Currently, countries like Myanmar are supported by a large local telecommunication company while Vietnam has not seen much traction in terms of volume. “Likewise, its e-commerce delivery segment, Instant, will still be loss-making in FY19. Tiong Nam cited that it will maintain Instant while waiting for the market to consolidate before making any huge expansions,” it said. MIDF Research said Tiong Nam’s pre-tax profit of the property segment in the second quarter (Q2) 2019 was expected to be wearker than Q1 due to lower unbilled sales and the completion of the Pinetree Marina Resorts. The segment’s pre-tax profit declined 27.9 per cent year-on-year to RM6.4 million in Q1. MIDF Research said Tiong Nam was left with the Kota Masai township which is expected to be launched towards the end of Q1 2019 with an estimated gross development value of RM150 million. Overall, Tiong Nam is targeting to sell RM100 million worth of unsold properties in financial year 2019. MIDF Research has maintained its “neutral” stance on Tiong Nam with a reduced target price of 92 sen per share.